The article further claims that Turkey’s intervention into northern Syria is aimed primarily at “the Kurds.” The purpose of Turkey’s intervention into Syria is double-pronged. It is aimed at both curbing the spread of DAESH and at preventing the formation of a PKK-led state on Turkey’s southern border. A chronology of the operation records that the Turkish army was engaged in serious clashes with DAESH. 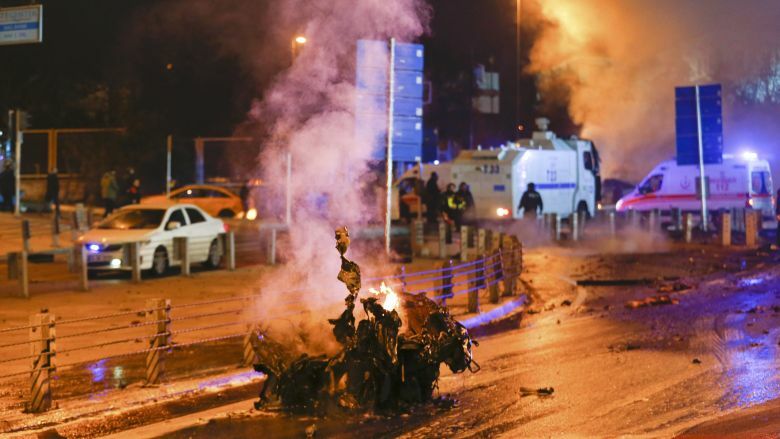 The necessity of Turkey’s intervention into northern Syria is evident by virtue of the fact that earlier this year PKK suicide bombs in March,8 and February9 left over 50 people dead. The attacks were conducted by PKK members believed to have undergone training at camps in Syria. Cockburn overlooks these attacks while stating that the deadliest attacks in recent months have been the work of DAESH alone. Continuing with his article, Cockburn claims that Turkish President Recep Tayyip Erdogan “wields dictatorial powers and Turkey’s shift towards becoming an authoritarian state using arbitrary powers is well under way.” Contrary to this claim, both the on going judicial investigations into the 15 July coup attempt and the present state of emergency are in line with the law as stipulated by the relevant articles of the constitution,10 and are subject to periodic parliamentary approval.11 The extension of the state of emergency was likewise backed by the opposition Nationalist Movement Party (MHP),12 and by Turkey's National Security Council (MGK), a body comprised of representatives of the government and branches of Turkey's security and military apparatus.